Trek your way through the catlins and clutha! 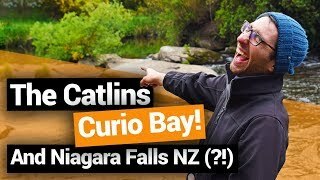 Lakes, waterfalls, gold trails, wildlife and rugged coast: these are the draw cards for the Catlins and Clutha area. The district wedged between the Otago and Southland region has a natural landscape that has to be experienced through hiking. We can’t complain with the money-saving side of that too! 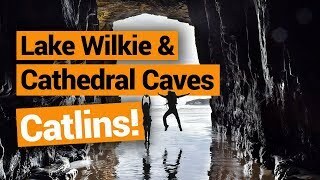 So where are the good hikes in The Catlins and Clutha district? Walk in the footprints of the gold miners, where trails have been carved through stunning landscape including deep river gorges and mountain sides. As you move further to the coast, the forest gets denser, the rock formations more rugged, the waterfalls more frequent, and the wildlife more abundant. The difficulty of the walks varies too, with 15-minute strolls to waterfalls to a multi-day hike on a gold trail. Make the challenge your own. Pick a walk or two from the list below and add them to your Catlins and Clutha itinerary! The most popular bike ride in the area is also a great hike. Spread over 73km, it will take you a good 3 days. 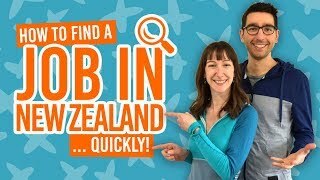 The trail goes through some of the most historical locations in the area including Maori moa hunting grounds and mining areas. Keep on following the powerful Clutha Mat-Au River through majestic gorges before sidetracking to the aptly named Big Hill Tunnel and finishing at the Lake Roxburgh Dam. Read more about the Clutha Gold Trail in Mountain Biking in the Catlins and Clutha District. Location: Between Lawrence to Lake Roxburgh Dam. You can start from Commissioners Flat at the small car park about 500 metres below the Lake Roxurgh Dam. The signs are obvious to keep you on the trail. Choose to start your hike in Black Gully or Whisky Gully and tackle the demanding 6-hour trail that will lead you through native bush to mountain tops taking in 360-degree views of the area. Be ready for a rocky track along the way. You can arrange stay in a hut with the Department of Conservation or sort out a pick up from your arrival point. Location: Black Gully or Whisky Gully in Tapanui. From small waterfalls to wide ocean views, this short 40-minute track has it all. Pack up your togs (that’s Kiwi speak for swimsuit) to make the most of the ocean. If you are looking for a lengthier hike in the area, consider walking to Bull Creek from Chrystalls Beach. The walk will feature fur seals, sea lions and maybe even elephant seals. Location: Follow the signs from Milton to Bull Creek. 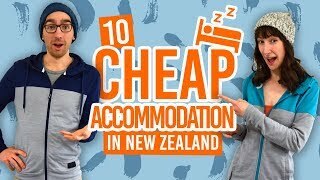 When staying in Balclutha, you will probably spend some time in Naish Park. The Blair Athol Walkway starts just behind this park and follows the Cluth Mata-Au River for 1 hour through a colourful flowery landscape. You will also be able to spot native birds feeding on the banks of the river. Following the Taieri River, the easy 4-hour one way track leads to the John Bull Gully hidden in native bush. Be impressed by the views along the track, especially when rising above the river level. The track can also be biked, but usually by the more experienced, as most people hike. Location: 4km north of Waihola, turn right onto Taieri Ferry Road. Turn right just before the bridge and drive to the end of the riverside road where you can park and start the track. The falls are a major attraction in the area – part of the 18 Amazing Attractions You Can’t Miss in the Catlins. They are the perfect New Zealand picture: a gorgeous dark waterfall nestled in thick forest. The access to the falls are well-marked and provide a few different observation lookouts over the pool below. Location: South of Owaka in the Catlins. Take Papatowai Highway south and turn left onto Purakaunui Falls Road. Follow the road for about 2.8km. The falls are well-signposted. The 1-hour return track is an easy one yet it hides an impressive secret. The blow hole has been carved by the sea eroding the stone underground until breaching out to the surface at Jacks Blow Hole over 200 metres inland! The shear sound alone is reason enough to take on this walk. Location: 10km from Owaka. Turn off the main road (Owaka Highway) into Pounawea Road and follow for 850 metres to the turn into Hinahina Road. Follow Hinahina Road for 6km then turn into Jacks Bay Road. Inhabited by a small colony of glowworms, the Manuka Gorge Tunnel is a real treat to visit. This track hardly constitutes a challenge at only 10 minutes return. While in the area, consider hiking an extra 20 minutes to the Mount Stuart Reserve offering a great view to the ancient Stone Viaduct. Location: 12km northwest of Milton. On State Highway 8, take Rhodes Road. The most photographed feature of the Catlins has to be these nuggets! Starting at Kaka Point and following the coast to the Nugget Point Lighthouse, this hike is the most well-maintained track on this list, mostly because it is so popular. Fur seals, sea lions and other wildlife on the way are a pale attraction compared to the mind-blowing views that is Nugget Point at sunrise. Find out more in our 10 Must-Dos in The Catlins. Location: 9.2km south of Kaka Point. 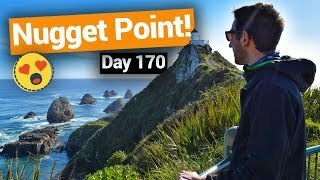 Take the Esplanade/Nugget Point Road all the way to the end. The lake is only a short drive out of Kaitangata and is a breeze to complete. The trail loops around the lake taking about 2h30min of passing through a few gated farms. Don’t forget to close the door behind you! While walking around the lake you will get a glimpse at the New Zealand native wildlife. Pukeko, black swan and shelduck are just a few of the many species living in the area. Location: 7.1km north of Kaitangata, take Lakeside Road to the signposted walk. Crave more of the Catlins and Clutha stuff? Then check out more articles on this area!